Cake Byte: CakeSpy Featured in Edible Seattle! 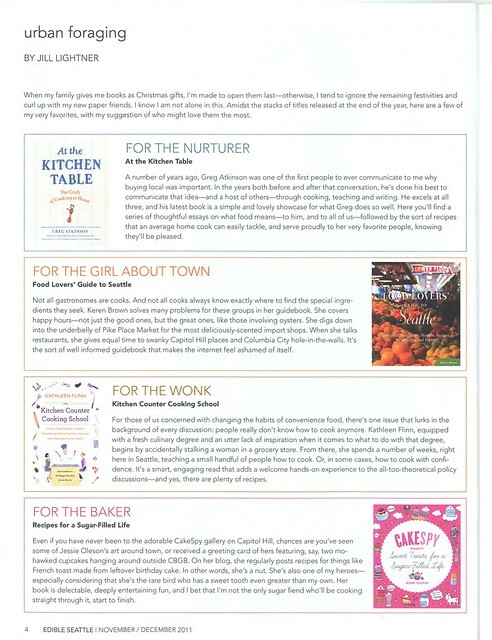 Well, excuse me while I go ahead and feel like a big, famous person: my book, CakeSpy Presents Sweet Treats for a Sugar-Filled Life , was featured in the November-December Edible Seattle! My sincere thanks for the feature. Check out Edible Seattle here!